"The Bible teaches that man and woman are created in the image of the Father (see Genesis 1:26–27). The science of genetics and personal observation both testify to the principle of offspring taking on the form, appearance, and traits of parents. 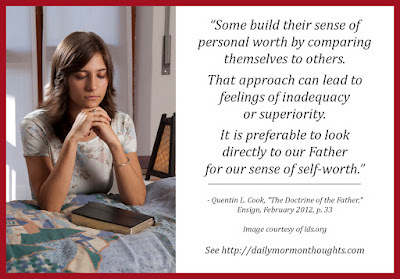 Some build their sense of personal worth by comparing themselves to others. That approach can lead to feelings of inadequacy or superiority. 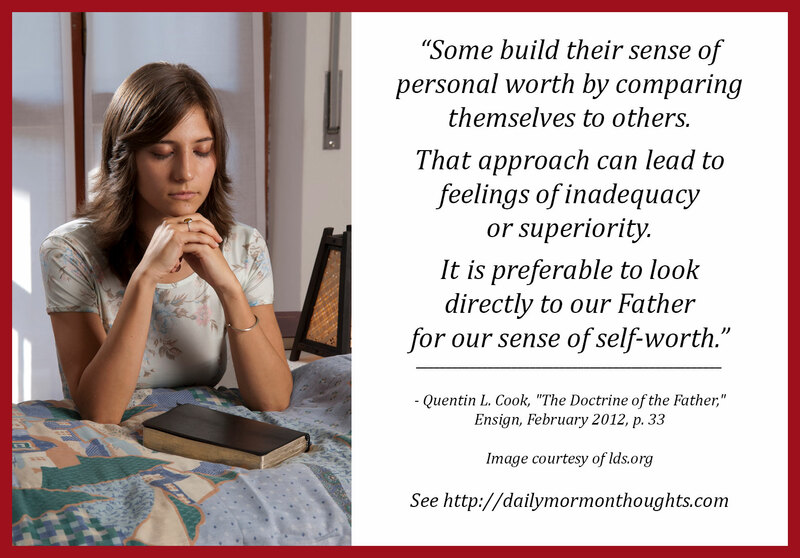 It is preferable to look directly to our Father for our sense of self-worth. "Our mortal pedigree charts show many generations winding backward through the ages. Our individual spiritual pedigree chart, however, has only two generations—our Father’s and ours. Our form is His form, without the glory. 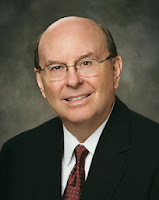 'Now are we the sons [and daughters] of God, and ... when he shall appear, we shall be like him; for we shall see him as he is' (1 John 3:2; see also D&C 130:1). Within each of us lie the latent seeds of godliness that can be given flower and fruition by His blessing and by following the path of strict obedience shown to us by Jesus. There is power in saying or singing the words 'I am a child of God.'" Once we understand the nature of our "spiritual heritage" and the divine seeds that are within us, we can focus on developing a divine sense of self-worth in the things that truly matter most.